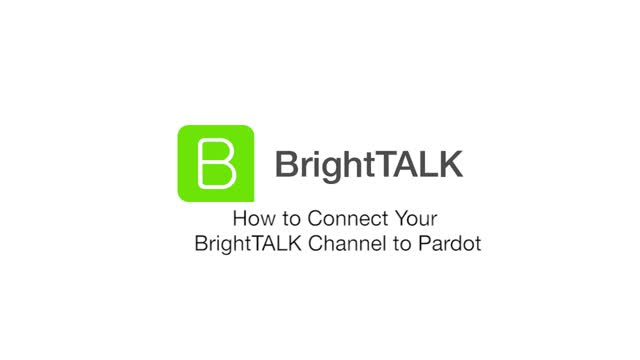 In this video, we will review how to connect your BrightTALK Channel to Pardot. In this video, we will review how to connect your BrightTALK Channel to HubSpot. In this video, we will review how to connect your BrightTALK Channel to Marketo. This short tutorial outlines how to pull your paid audience report from the newly launched campaigns page in your BrightTALK Demand Central. For more help please contact support@brighttalk.com or reach out to your BrightTALK Customer Success Manager. In this video, we will review how to attach files and links to your BrightTALK webinar. In this video, we will cover how to upload a video file to your BrightTALK channel. In this video, we will review the different options available for presenting with BrightTALK. In this video, we will show you how to create a practice webinar session (or "dry-run"). In this video, we will show you where you can find the presenter login and dial-in information for a live BrightTALK webinar. In this video, we will show you how to easily use UTM parameters to generate a tracking link that can be used to promote your BrightTALK Webinars. Webcast reports can be used to look at the activity on a specific webinar or video. Watch this tutorial to learn how to run one of these reports! This video provides an overview of the presenting technology for BrightTALK Pro Webinar. You'll learn how to share your screen, add slides, and get brief run-through of the interactive tabs on the Pro Webinar presenting screen. BrightTALK Video Tutorials Channel provides clients of BrightTALK with short easy to follow tutorials on how to use the BrightTALK Pro Webinar platform, and it's associated functionality. For more information please reach out to support@brighttalk.com or your BrightTALK Customer Success Manager.